Paper Play will showcase work created by the community using the works and artists from ‘On Paper’: an Arts Council Collection Touring Exhibition as inspiration.. 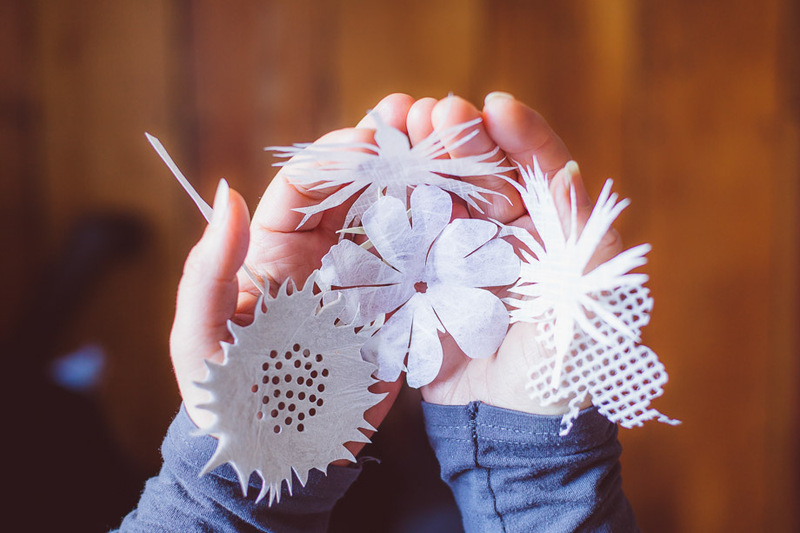 Visitors will be able to drop in to the ‘Paper Play Lab’ and design/rip/scrunch their own paper creations to develop an ever-changing paper landscape. Artist-led workshops, new commissions and performances led by renowned artists Sophia Clist and Jessica Palmer will transform the galleries. 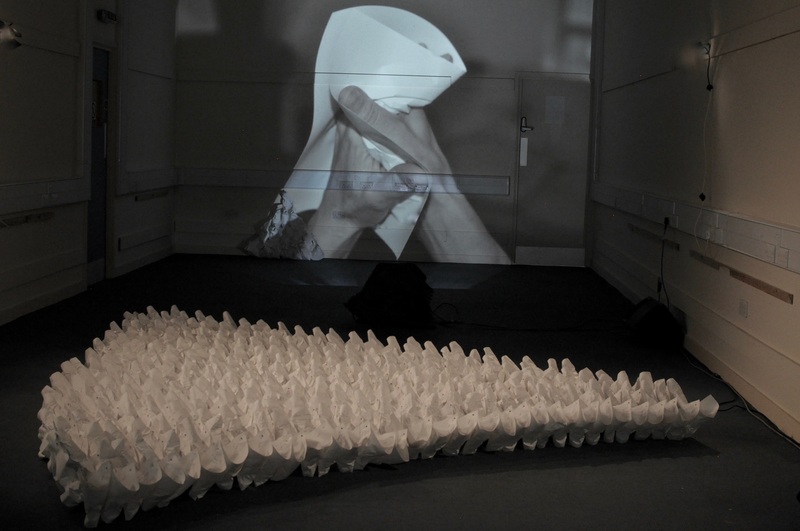 Sophia Clist uses paper to explore ideas and to model forms by cutting, tearing, bending, folding and crushing. 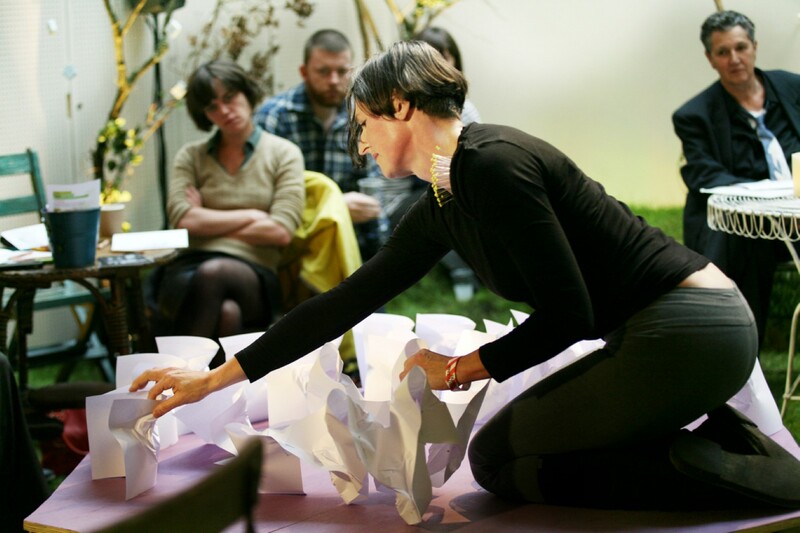 In Hands Full - her installation and performance inspired by the endless tasks of motherhood - she uses ordinary paper, shaped into extraordinary and mysterious forms which she links together to create a mesmerising sculpture. Local community groups have shared their thoughts which Sophia transcribes and prints onto the paper component parts. Jessica Palmer’s artwork plays with the endless possibilities of paper. She draws on her knowledge of paper as a medium to capture movement, shape and space using paper cutting, collage and drawing. The two artists have been invited to lead paper-based workshops engaging different community groups during ‘Paper Play’ working with schools, young people with mental health issues, Honiton Memory Café and pupils from Honiton Community College.